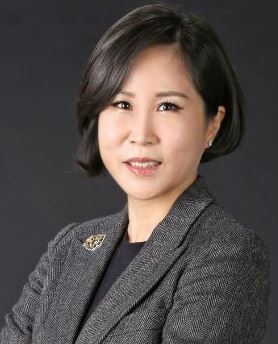 With Citi announcing plans to open a Korea Desk in Hanoi in July, Ms. Myung-Soon Yoo, Head of Corporate Banking at Citi Korea, discusses Citi's strategy and the expectations behind the opening of the Korea Desk. Why have you opened a Korea Desk to serve Korean corporations in Vietnam? Vietnam has become an attractive destination for foreign investors, with substantial competitiveness based on political stability, young talen and dynamic and competitive resources. Korean Top Tier Corporations have continued to expand their operations and production in the country, and Korea has long been ranked as the Number 1 source of foreign direct investment (FDI) in Vietnam. Registered investment capital from Korean enterprises stood at over $54 billion in 5,932 projects as at the end of March 2017. Citi Korea has positioned itself as a long-term global banking partner with Korean conglomerates. The Korea Desk will further leverage Citi’s knowledge of client strategy and needs with Citi Vietnam’s capabilities to support and facilitate the activities of Korean clients in the country. How will Korean corporations benefit from Citi’s Korea Desk? Clients will be able to use the same platform and services in headquarters and subsidiaries. Enhanced communication through the Korea Desk will provide timely market updates and transaction execution and facilitate alignment in clients’ treasury activities among headquarters and subsidiaries. Financial services provided include corporate banking, investment banking, local debt raising, foreign exchange, cash management, and trade finance. What do you expect when opening the Korea Desk in Vietnam? We expect to further improve efficiency in supporting Korean clients in delivering local-global solutions and in transaction execution and ultimately improve the client experience. Our corporate clients are expanding their business worldwide based on their global competitiveness and strong brand awareness. The Korea Desk strategy is effective in successfully supporting the local needs of our Korean multinational clients along with Citi’s global network, and Citi’s strategy to reinforce support and investment for Korean multinational clients is reflected in this expansion. What is Citi’s overall strategy in creating the Korea Desk? National desks have proved to be a strong foundation for Citi’s strategy of growing its business with Asian multinationals globally. Asian desks are core to Citi’s strategy of increasing and growing our relationship with some of the bank’s most important and rapidly internationalizing clients in the region. Over recent years, Citi has also invested in building a network of Asia desks across the world to support these types of companies in the local markets in which they operate. For Korea, Citi operates Korea Desks in eight locations: Vietnam, Shanghai, Beijing, Singapore, New Delhi, Moscow, London, and New York, providing institutional banking services to Korean multinational clients in Western and Eastern Europe, India, ASEAN, China, North America, and Latin America. The bank plans to open more desks to serve Korean enterprises in the key countries where they operate.